On a particularly dreary day, sailing along Maine’s coast and shivering beneath two layers of clothing beneath foul-weather gear, nothing lifts morale quite like puffins! Puffins live their lives at sea; they return to rocky shoreline burrows on remote islands only during breeding season when they re-join their mates. There’s a lot of catching up to do after a winter afloat! Puffins raise one puffling, little balls of grey fluff, and after about six-weeks the entire family takes to the open sea yet again. The pufflings will find a mate when they are approximately five-years old, and then year after year will return to the same rocky shoreline burrow. 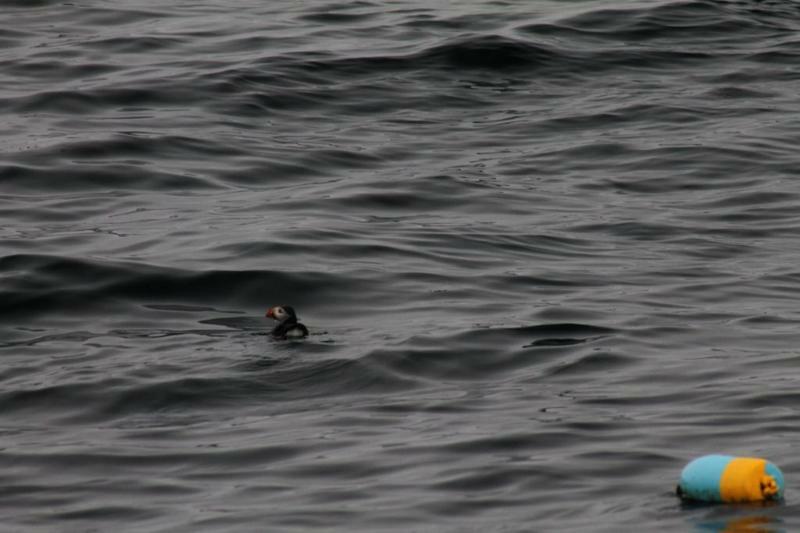 It’s still unclear how puffins navigate the seas to return to their nesting grounds. Puffins live to be 20-years or older! 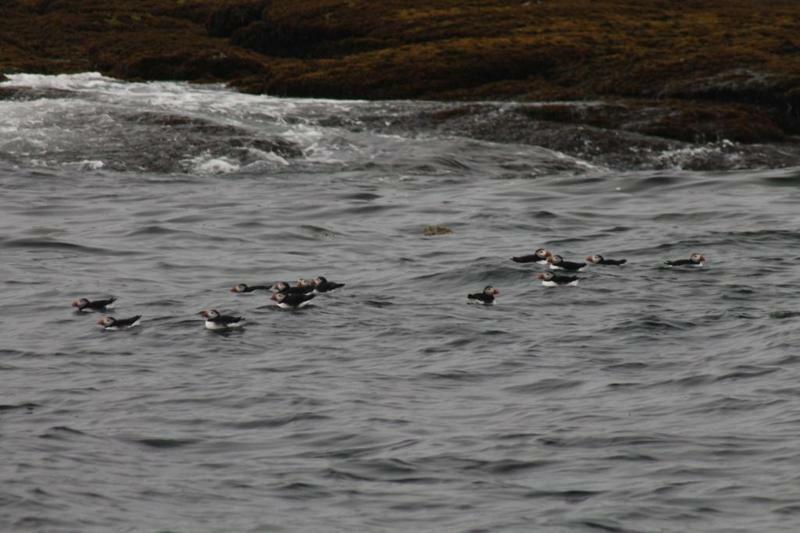 Eastern Egg Rock, located in Muscungus Bay, is home to 172 pairs of puffins! These puffins are the successful result of Project Puffin, a restoration project dedicated to bringing puffins back to Maine; you can read all about here.